A healing energy therapy that works in harmony with your body. 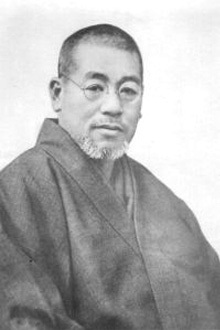 Reiki was rediscovered in 20th century Japan by Buddhist Sensei Dr. Mikao Usui. The name "Reiki" is a Japanese word meaning "universal life energy". It is said to heal a person through the energy flow from the practitioner’s hands, working on all levels - physical, emotional and spiritual through different frequencies. This energy surrounds us in our lives and can be experienced as a relaxing, revitalising and healing force. Reiki reached the US thanks to the work of Hawayo Takata, born in Hawaii from Japanese parents. Hawayo Takata received Reiki on a Japanese visit, and eventually avoided three surgeries thanks to Reiki treatment. In 1937, she became the first outsider ever to receive a First Degree Reiki certification. Reiki is a natural hands-on healing therapy using 'universal life energy'. Reiki works with the universal life force, much like acupressure, acupuncture, tai chi and yoga does but using its own unique methods. Reiki encourages the body to heal itself by changing how energy flows in the body. The practitioner channels the universal energy to release blockages and ease away stress and tension in the client. Reiki relaxes, de-stresses, and aids body repair. An intuitive connection that enables you to participate in your healing. Intuitive healing involves the practitioner connecting to the client intuitively. This connection allows them to focus on areas where they feel energy is most needed. Affirmations, questioning, dialogue and word play may be used to help release unresolved issues that may have become “locked” in the body. The sessions are less structured and more interactive, with the client actively participating an in their healing session.